"I've had so many requests for how I made the selvage spiderweb quilt, I thought I'd do a quick tutorial of how I adapted Bonnie's Quiltville spiderweb tutorial to make my quilt. I'm not going to repeat Bonnie's instructions for how to make the template. You can find her instructions on the Quiltville site." 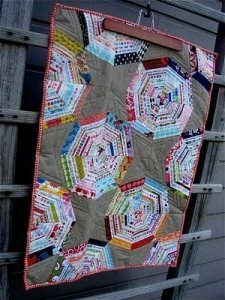 "String quilts are one of my favorite methods of scrap piecing. I pieced this quilt several years ago, and have had requests for the pattern, I just haven't gotten around to making up the tutorial! So here you go. 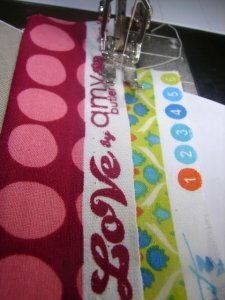 The following directions will show you how I draft my template for the spiderweb block, and then complete the piecing on scrap paper. This pattern makes a 10 3/4" block!" Click here for Bonnie's kite template tutorial.